Your smile says a lot about who you are, and when you experience decay or dental damage, it can be hard to find a reason to share that smile. That’s why Dr. Rottman and the Sachse Family Dentistry team offer a wide array of restorative dentistry services to repair dental damage and help you regain your confidence. If you’re in need of smile repair, call our team right away. Our Sachse dental office is easily accessible for families from Sachse, Wylie and Murphy. Dental crowns and fixed bridges allow us to repair damaged teeth or replace one or more consecutive lost teeth. Crowns are restorations that fit completely over the top of a damaged tooth, restoring lost structure and protecting what’s left. A fixed bridge is made of a series of fused-together dental crowns that replace lost teeth. We provide high quality crowns and bridges in a variety of materials to meet any patient need. We use fillings to repair minor damage and decay. Traditionally, amalgam metal was the standard material for fillings, but today we typically recommend tooth-colored, composite resin fillings that offer a superior option for our patients. In order to place an amalgam, we mix a combination of metals including tin, silver, mercury, and copper in the tooth. Composite resin provides a more conservative repair option because we’re able to apply the putty-like resin directly onto the treated tooth without removing additional healthy structure. The tooth-colored resin seeps into even the smallest crevices and pits in the decayed or damaged tooth. The curing light will harden the composite resin and the filling is sealed in place, offering a perfect fit restoration. Patients who experience significant tooth loss can struggle with typical daily tasks that should be simple — like chewing foods thoroughly, speaking clearly, and smiling confidently. If you’re missing numerous teeth or a full arch in the upper or lower jaw, partial and full dentures offer complete restoration of the lost dental structure. Partials are used to fill gaps in smiles while preserving remaining healthy teeth, and a full denture replaces complete arches of missing teeth. 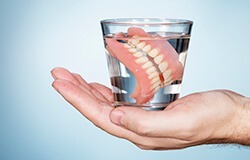 Both types of dentures use a gum colored base to provide support for replacement teeth. Partials fit between remaining teeth and are held in place with metal clasps, and full dentures are crafted so the base fits tightly against the gums, creating suction that holds the prosthetic in position. Root canal therapy is necessary when decay or damage occurs on the inside of the tooth. The innermost layer of teeth is known as the pulp, and it houses the nerve system of the tooth. The resulting toothache is extremely painful because the nerve is directly affected. During a root canal, we extract the damaged pulp and nerve tissue through a small access hole, refill the tooth, and seal the hole. 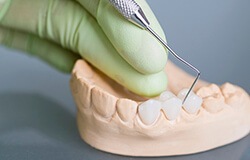 We typically also place a dental crown to protect the treated tooth. We never want our patients to lose their natural teeth, but there are times when removal is the best option to keep your overall oral health intact. If you’re in need of tooth extraction, Dr. Rottman will provide the safe, pain-free procedure right in our Sachse office. 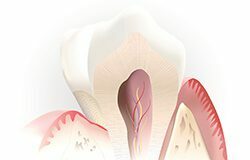 We may need to extract teeth if decay or damage destroys too much of the tooth to support a dental restoration. Tooth extraction may also be necessary prior to orthodontic treatment or the creation and placement of dentures. Most commonly, we extract wisdom teeth, also known as the third molars, when their late eruption leads to oral health concerns.